The aim of this event is to draw the public’s attention to the highly destructive activity of spraying aerosol trails into the troposphere. This is occurring on a massive scale worldwide, including throughout New Zealand and evidence shows it is causing droughts. Chemtrails, otherwise known as aerosols, are emitted from aircraft into the atmosphere. They commonly include aluminium and barium and a variety of other toxins, [1, 2]. While these trails are sometimes mistaken for condensation trails, they differ from these in a variety of ways, including that they are sprayed in parallel lines, and can often be seen spreading out, forming cloud-like material and hang in the sky in atmospheric conditions where vapour trails can not. Chemtrails appear to serve at least seven functions, including use with weather modification technology and in electromagnetic operations, such as with the High-frequency Active Auroral Research Program, (HAARP), . Research conducted for more than a decade reveals that geo-engineering has caused serious harm to the environment, making it far less able to sustain life, [1, 2]. 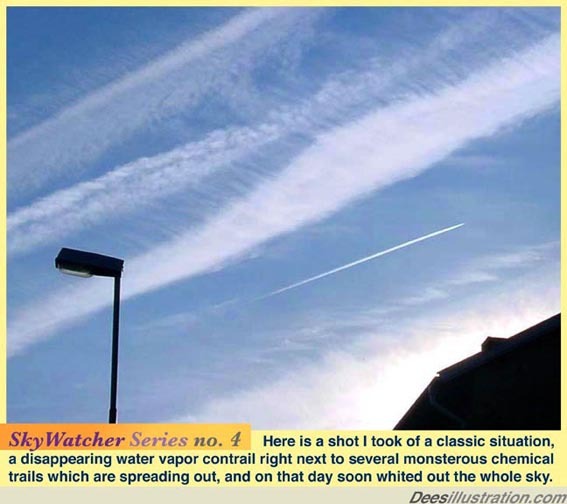 For instance, in Northern California, a group of concerned citizens has been monitoring environmental changes attributable to chemtrails/ geo-engineering and found that it causes drought and the rain that does fall is toxic. They found that snow on Mount Shasta had 61,100 parts per billion (ppb) of aluminium in it, when it should have been at a level of about 7 ppb and the soil pH has changed from acidic to neutral,. It was also found that in only 4 years salmon spawning crashed from 160,000 to 8,000 in a local tributary, about 80% of amphibious species died off and the potato harvest declined by 80%, . 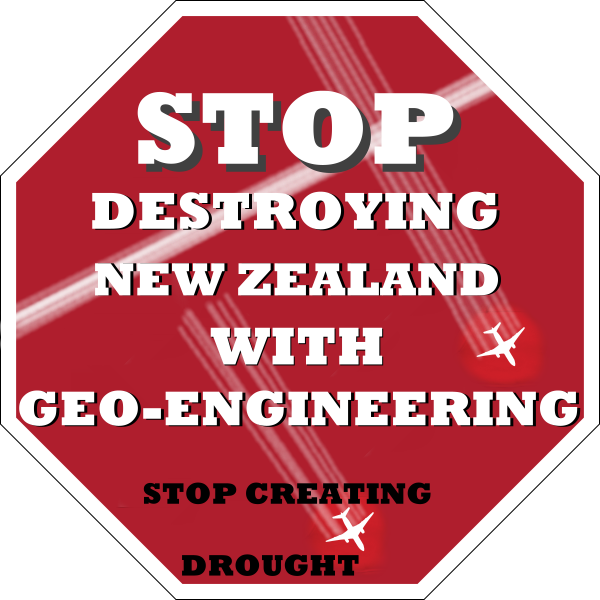 Geo-engineering has taken a huge toll on New Zealand also, as a Great Rain Robbery has taken place. Throughout 2010, when aerosols and unnatural cloud formations, akin to those associated with weather modification technology were recorded, [4-6], extremes in weather occurred. These were particularly harmful to Northland. Northland, which normally gets plenty of rain, was declared a drought zone in January, 2010 and over the following 3 months the rainfall was “extremely low” according to the National Institute of Water & Atmospheric Research. Plus, a drought was declared in the region yet again in December, 2010 and to top it off the Northern Advocate reported on December the 8th that Northland towns, Whangarei, Kaitaia and Kerikeri had ‘had their lowest spring rainfall on record,’ . It is clearly more than a coincidence that the year geo-engineering activities became prevalent, so too did the drought conditions. A report in Science in August, 2009 by Gabriele Hegerl and Susan Solomon stated ‘very large risks’ were associated with geo-engineering, including droughts. When asked to account for the presence of aerosols in New Zealand and the evidence weather modification technology was used in Northland in 2010, the Environment and Climate Change Issues Minister, Hon. Dr Nick Smith has claimed repeatedly that chemtrails are merely condensation trails and the weather in Northland was not engineered, yet he has offered no credible explanation to account for what has been observed. Artwork by David Dees. 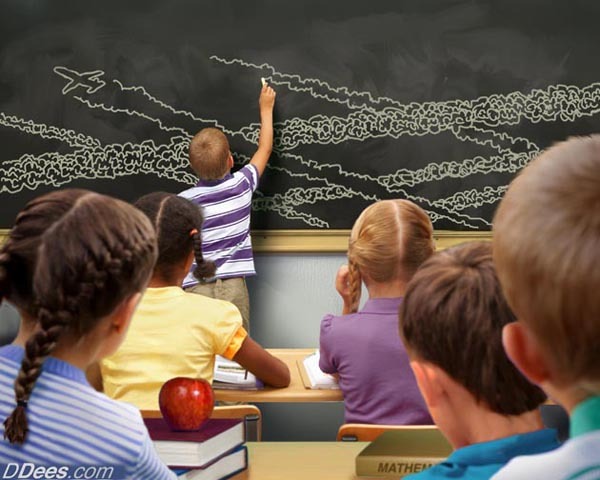 A school boy draws a chemtrail grid using chalk. As the skies above New Zealand continue to be transformed, there is indisputable evidence that shows a massive aerosol operation has been ongoing for at least one year, [4-6]. It appears that risky geo-engineering programs have been implemented here without the public’s consent or knowledge, which makes one wonder what have they got to hide and what kind of ethics do the people in control of these operations have? We, the people of New Zealand must question the use of these aerosols and the use of weather modification technology, not only on the grounds of their potentially catastrophic environmental effects, but also on the grounds that false claims have been made by our government. We need to become informed as a nation and uncover the truth of what is being done to our atmosphere and our climate. In light of how environments have been poisoned overseas by this activity and the rapid climatic deterioration associated with it here, there is no doubt the future of our country depends upon this. What In The World Are They Spraying? A documentary by Michael J Murphy, Paul Wittenberger and G Edward Griffin, (2010). A Thank-you For The Media Coverage Of the Issue of Chemtrails In New Zealand. The NZ Environmental Public Interest Coalition would particularly like to thank the Vinny Eastwood Show, which is broadcast via American Freedom Radio and Rush 89FM (Waikato), and Uncensored Magazine, for their excellent coverage of the chemtrail issue. We also thank Investigate Magazine, which ran a detailed article about chemtrails by William Thomas back in December 2000, and one about weather being used as a weapon, in July 2002. A thank-you to TVNZ’s Sunday program for drawing the public’s attention to the matter of aerosols on July 4th, 2010 and teaching so many people what ‘chemtrails’ referred to. Furthermore, we thank Philip Duncan of the NZHerald for addressing the matter of weather modification in his blog, published on May 18, 2010, and we’re appreciative of the newspapers around the country which have included articles and letters about the topic. We now urge media outlets around the country to do likewise and use World Chemtrail Awareness Day to stand up and ask some serious questions. Do the right thing for the defence and the future of New Zealand and its people. Your country needs you. Rose Birrell: rosepaige@vodafone.co.nz Ph: Private. Contact her through the website. This entry was posted in Activism, Aluminium, Barium, Clifford Carnicom, Global Warming Hoax, Government, HAARP, Media, Poisoning Environment, Technology, Weather Modification, Whangarei and tagged Dr Nick Smith, drought, economy, farmers, farming, geo-engineering, Nick Smith, NIWA, Northland, rainfall. Bookmark the permalink.